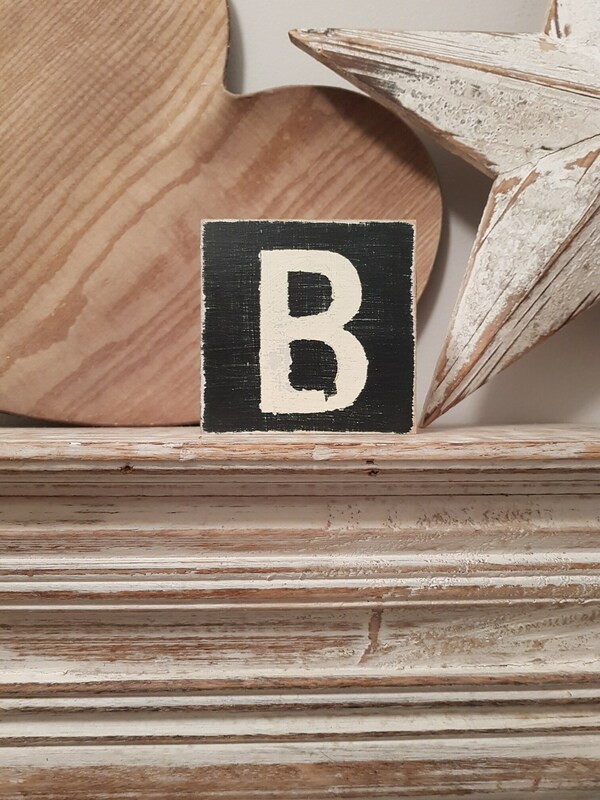 Listing is for 1 x letter block - B. 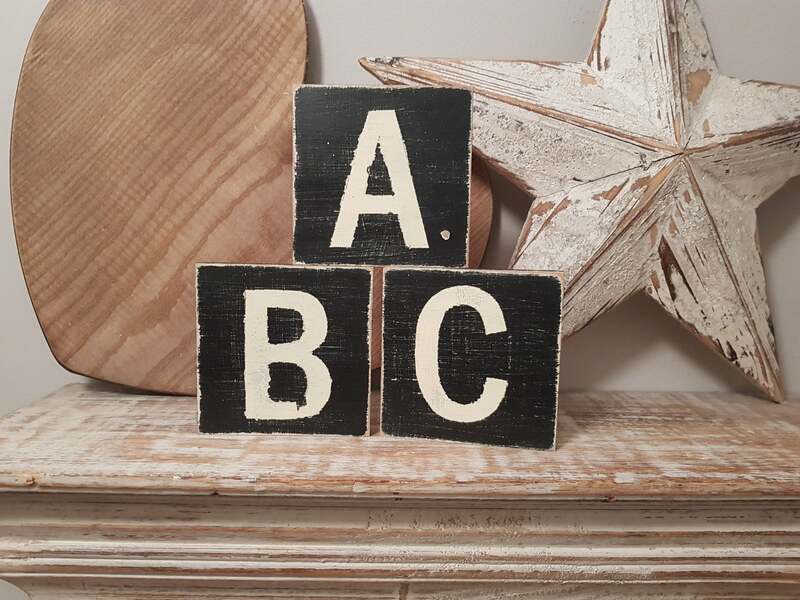 These fab signs are black with cream lettering and finished in a rustic, vintage style finish! NOT VINYL OR STICKERS ... All hand painted. 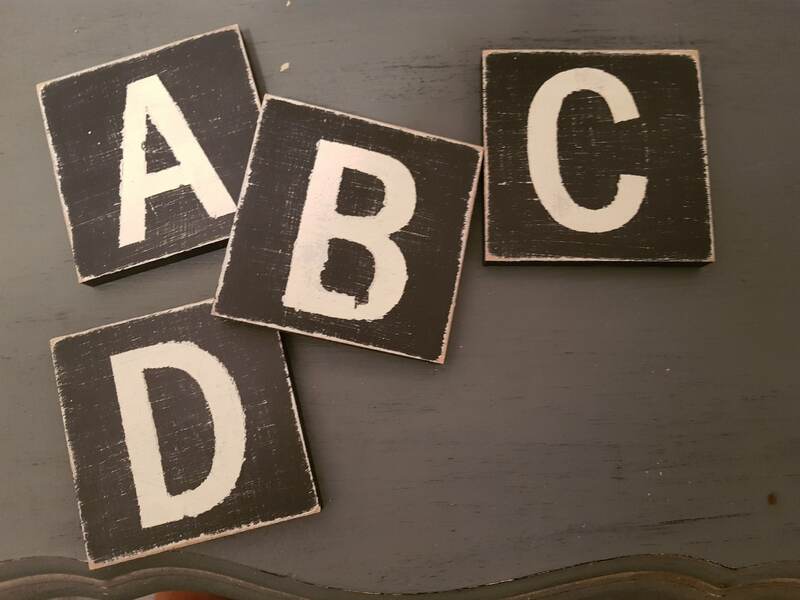 Order larger quantities to spell out think - like names, or countries, meaningful words, or even 'Marry me'! Please contact me is you need larger quantities - I'd be happy to quote for you. Just let me know how many you require and where you are based. 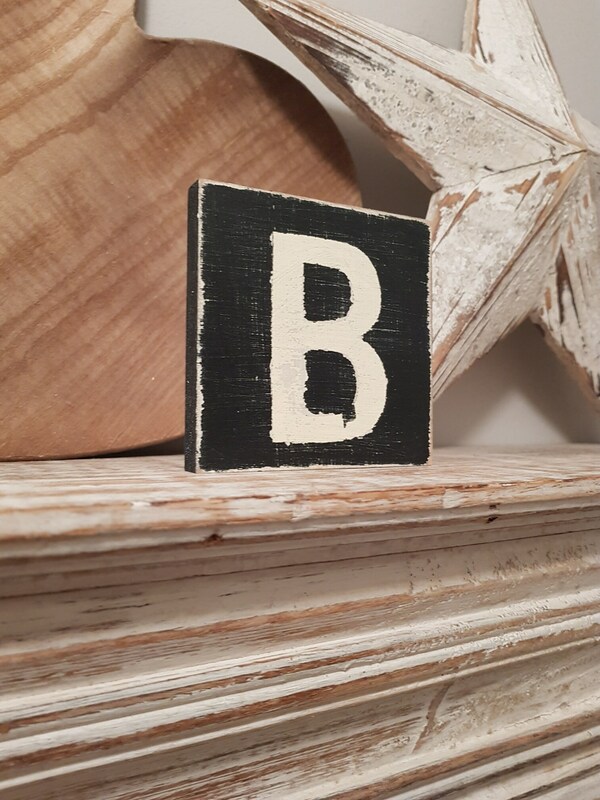 These cute little blocks measure approximately 10cm x 10cm. They come with a hanger if requested, or can be free-standing. 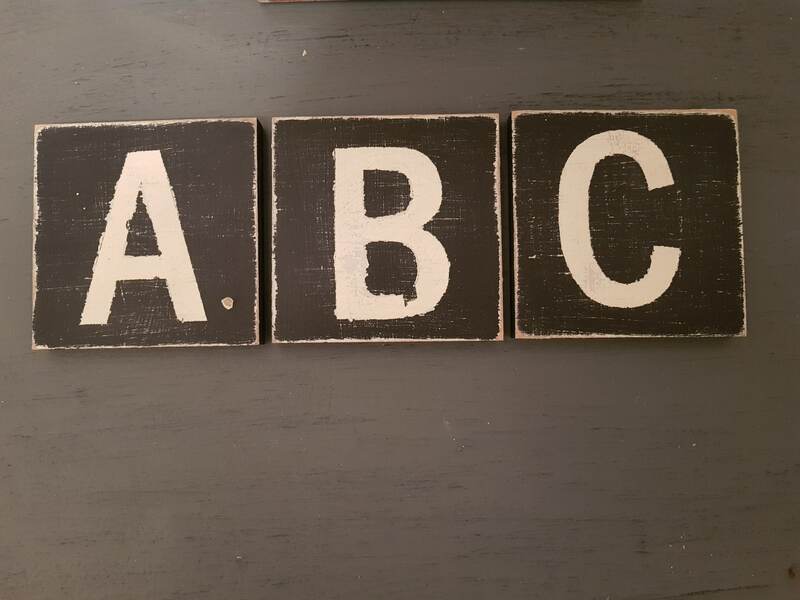 The lettering is in cream with a black base, but choice of base colours are available! Other colours can be used too so if there is something in particular you are after just let me know and I'll try to match it! 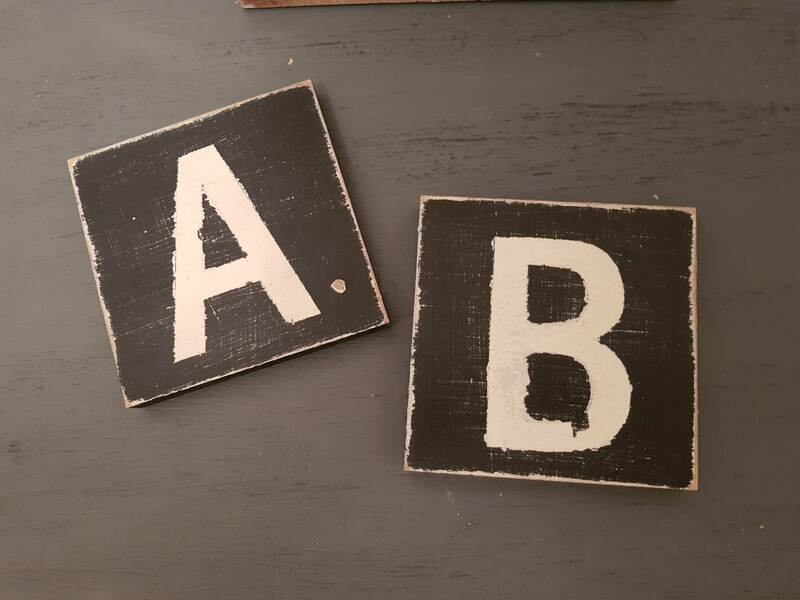 I work with a variety of brands including Farrow & Ball, Valspar UK and Craig & Rose - to give a wide choice of colours, as you will see from my shop.